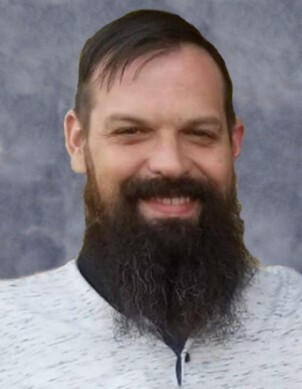 Alan "Reid" Salyer II, of Hwy 1010, Ezel, KY passed away Wednesday January 23, 2019 at UK Hospital, Lexington, KY, after a brief illness at the age of 42. He was born September 18, 1976 in Lexington, KY a son of Alan and Theresa Rowland Salyer. He was a member of Ezel Presbyterian Church,Ezel, KY. He was a youth worker at Woods Bend Boys Camp. He was preceded in death by father Alan Salyer, maternal grandfather Conrad Rowland, paternal grandparents Sam & Crystal Salyer. Aunt & uncle Gloria & Otto Espinosa. Surviving is his mother Theresa Rowland Salyer of Ezel, KY. Two sons Connor Motley Salyer and Noah Alexander Salyer of Ezel,KY. Maternal grandmother Wilma Henry Rowland of Ezel,KY. Uncle Dean & Pam Rowland of Morehead,KY. Aunt Royetta & Larry Stamper of Winchester,KY First cousins Fremon Stamper of Winchester,KY; Carter Rowland of Lexington,KY. Lance Espinosa of Florida & Lee Espinosa of California. Fiancee Joni Benton Adkins and children Lyndsey Clay & Eric Jase of West Liberty, KY.
Funeral services will be 1:00pm Sunday, January 27, 2019 at Herald & Stewart & Halsey Chapel with Rev. Carl Smith officiating. Interment in Ezel Cemetery, Ezel, KY. Visitation will be 5:00pm Saturday at Herald & Stewart & Halsey Funeral Home, West Liberty, KY. Pallbearers: Ben Lykins, Adam Lykins, Fremon Stamper, Phillip Harmon, Greg Motley, Chris Trusty, Dean Rowland and Chris Barker. In lieu of flowers memorials are suggested to, Loaves & Fishes, Ezel Presbyterian Church, Ezel,KY 41425.